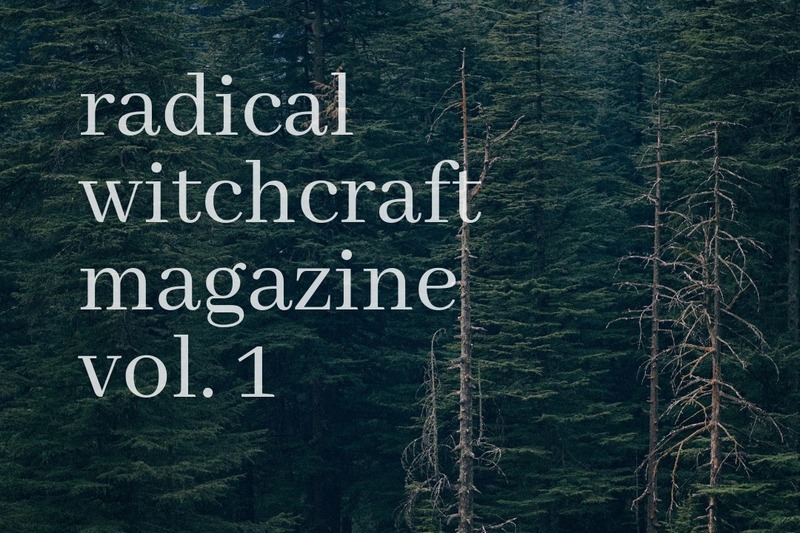 There have been many publications out in the last several years that focus on the revolutionary power of witchcraft. One thing that I’ve noticed about almost all of these works is their focus on white witchcraft, or on Wicca. “Becoming Dangerous” is another volume out there, but rather than being a book of spells or of practical magical advice, it is personal essays and reflections on what it means to be a witch. What I’m envisioning is a high-quality piece of work that will have spells, rituals, tarot spreads, herbal remedies, and other pieces of witchcraft and traditional knowledge and will assist radical leftists in resisting the current regime of authoritarianism and beyond. This is meant to be a grimoire filled with practical spiritual tools for the activist who is engaged in anti-oppressive work. It is also essential that this zine come from a multitude of perspectives, drawing on the knowledge of multiple cultural backgrounds. This is something that other anthologies are lacking in - a distinctly multicultural view on radical witchcraft. I am also firmly dedicated to paying writers and artists for their time - and as such, before I approach the writers I want to work with, I want to have raised some preliminary money to be sure that I can pay people. There will be a kickstarter later, once I have my writers lined up, to pay for printing costs and to double payment of the writers, artists, and other contributors. What I’m looking to you for is the initial funding. I’m looking to raise $3,300 for the project to pay writers, pay myself, and pay basic costs of the zine. I hope to have raised these preliminary funds by February 8th. I am also reserving some places in the lineup for a call for submissions. More information on that later! Thank you all so much for the donations! We've been able to secure so many more contributors to the zine. 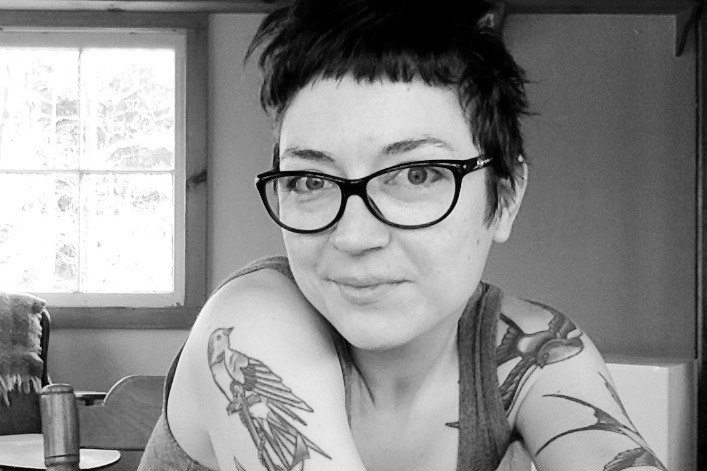 This week, I'd like to take a moment to showcase another contributor: Beth Maiden. You probably know Beth from Little Red Tarot. She is a rad activist, and I have learned so much from her. I'm Beth Maiden. From 2011-2018 I ran the Little Red Tarot blog, which started life as my personal tarot blog, but grew into a community space where a beautiful family of queer writers shared their wisdom and perspectives on tarot, spirituality and more. I developed a shop on the side of LRT, which is now my living. I live in rural Wales with my partner and cats, and am a practicing witch rooted in reclaiming and queering Celtic/Pagan traditions, tarot, folk herbalism, altar-work and simple ritual. Beyond my witchy life, I'm into photography, walking, hanging out at the seaside, and going on mini adventures. What kind of community activism are you involved in? My online and IRL spheres are pretty separate (I'm really pondering how to integrate them!) - but both are rooted in my belief that the spiritual is political and that the radical changes we need absolutely require a spiritual revolution - the disentangling of our selves from capitalist modes of being (separation, competition, acquisition of stuff, deeply-felt inadequacy) and deepening of our collective connection and sense of enough-ness. Online, my activism is about creating space for a wider range of voices in the spiritual community, and providing platforms for conversations that move us beyond the standard messages of the 'mind body spirit' industry - especially but not limited to queer perspectives. Ultimately, it's all about anticapitalism and decolonization. My core message is that if we truly believe we are enough, that itself will overturn the power structures that control us. In order to spread this message, my work promotes the idea that spirituality is everybody's birthright and that claiming and working with it - in the ways that feel right for us - is a vital, empowering, political act. What we see in a world choking under capitalism is a spiritual sickness. Capitalism requires and teaches us to deny our spiritual selves. Offline, my activism is super local. I live in a rural town of 2000 people and rooting myself right here is part of it. So it looks like really low-key actions, like tackling political questions in my coven, or hosting/initiating tiny spiritual/political events. I've always done a lot of local voluntary work. Right now I'm involved in various other groups, Mid Wales Refugee Action, a local food-growing initiative, being on the safe space team for our local open mic night, and I'm excited to be getting involved with Extinction Rebellion this year. How have you used your spirituality and witchcraft for social justice? Spirituality - particularly tarot and shadow work - have been a key part of my moving beyond guilt to what is on the other side of it. I.e. learning how to show up. For a long time I wasn't able to fully show up for magic or for social justice because I was stuck in the privilege guilt trap (the one where we spend more time competing with/hating on each other because we don't know how to live with the fact we have privilege). When we're stuck in this trap - and I'm talking to my fellow white middle class peeps here - we're just centring ourselves, it's totally counter-revolutionary. Deepening my spiritual practice has meant doing a lot of shadow work, which has meant being incredibly honest and humble, which has eventually helped me climb out of the guilt trap. I don't mean I'm there, I just mean I'm getting more aware of how vital that work is, and I'm learning how to do it. There's no division between my own personal spiritual liberation and that of the society I belong to - I'm growing more and more conscious each time I perform ritual, that the magic I perform for myself is magic for the world. And more and more, I'm wording this into my spells, coding it into my ritual art and tools and symbols. What pieces of writing are you most proud of? What are you thinking of creating for the chapbook? Next writer interview: Asali of Asali Earthwork! I first learned about Asali's work through the Little Red Tarot blog, and she is an absolute gem. From the activism she does in her own community, to her compilation/list of Tarot of the Queer, Trans, People of Color, to her practice of herbalism, Asali is spreading love, healing, and self care. I'm a Black queer femme community healer and earthworker writing, practicing, and creating at Asali Earthwork. My work is rooted in using self-care as a means to disrupt systems of oppression and prioritize care for my community through deepening connection- of soul, love, understanding, and intuition. As a Black queer femme, my existence is politicized whether I consent or not. My response is to hold tightly to my right to be loved, held, and cared for. I practice self-care as a political act. I practice community-care as a political act. Whether it's writing, herbalism, or card-slinging I prioritize connecting to and supporting those at the margins, in theory and practice. I also understand that the privilege I do hold is not canceled out by where I'm marginalized. I welcome correction, calling out and calling in, and seek to be a life-long learner in this practice. Something in the line of my ongoing Ritual & Honey series which has been a mish mash of social justice, tarot, conjuring, and reflection. Ultimately, I want to create something folks can connect to and find supportive to their journeys. 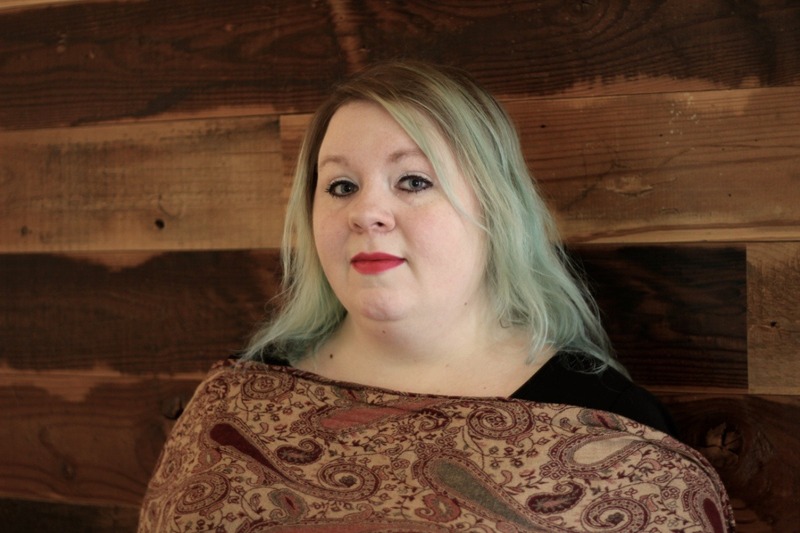 Our first contributor: Cassandra Snow! I am so happy to announce that with the funds raised so far, I have been able to confirm the first contributor to the zine! Cassandra is a very dear friend of mine, and author of the upcoming "Queering the Tarot." You can pre-order the book on their website, www.cassandra-snow.com. That's a hard question to answer because the two are super connected for me. I got into witchcraft when I was really looking for alternative answers to Bible Belt Christianity because I was in the closet and going through/had recently gone through some major traumas. Everything was really smashed together for me and I was looking to untangle things and just feel better. It worked over time, so for me the tools of witchcraft ARE the tools for helping marginalized people and traumatized people through their pain so that they can move on to bigger and better things. My Queering the Tarot series with the book coming out is definitely my baby but I really love my Tarot 101 E-Zine too which covers super basic-y basics like "Can you buy your own deck?" but really delves into some framework and ideas for tarot that even seasoned readers have commented on and gotten a lot out of, particularly where the court cards are concerned. I have a few different things I'm deciding between. There are some tarot led spells I've done and performed that I think would be a great inclusion, and there are so many spreads that can help radicals in their tarot and activist work. I think I'm leaning towards something a little more informative about some of the tarot cards that are really bent towards social justice and then a shorter spread based on the ideas of those cards though. I'll have another author to announce later this week - and I'm so excited about it. With each donation that comes in, I'm able to confidently reach out to another writer or contributor. So your donations have a very tangible result, and I will announce more writers as the donations come in!